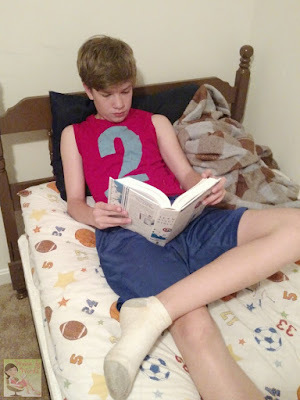 My youngest son just turned 13, and I wanted him to have a Bible that wouldn't be a hand-me-down, was durable, and one that would engage him. 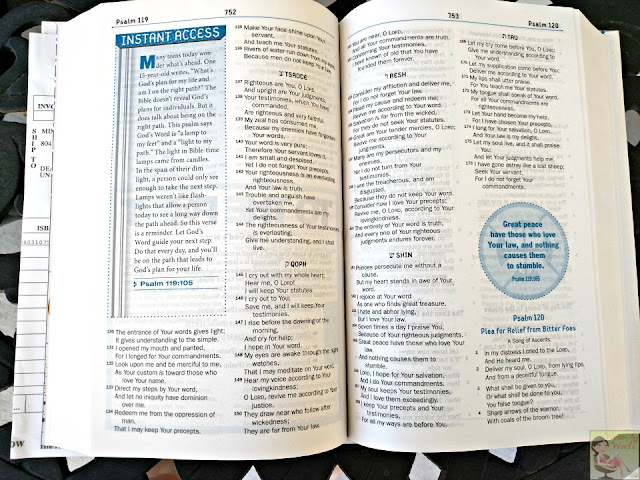 When Zondervan offered this teen study bible for review, I could NOT pass it up! This Teen Study Bible is the New King James Version. Teens are bombarded by the world, and to have a Bible they can turn to, to help them dive into the Word, and to find answers is so vital! 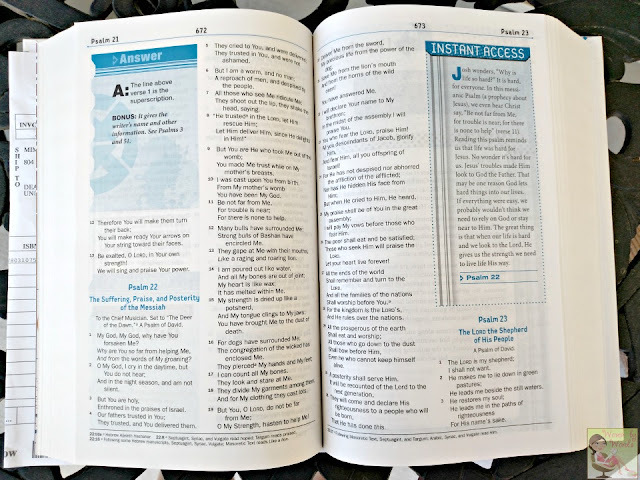 Personally I really like the NKJV, and I appreciate that we can read the same version of the Bible together. So, what are the highlights in this Bible? 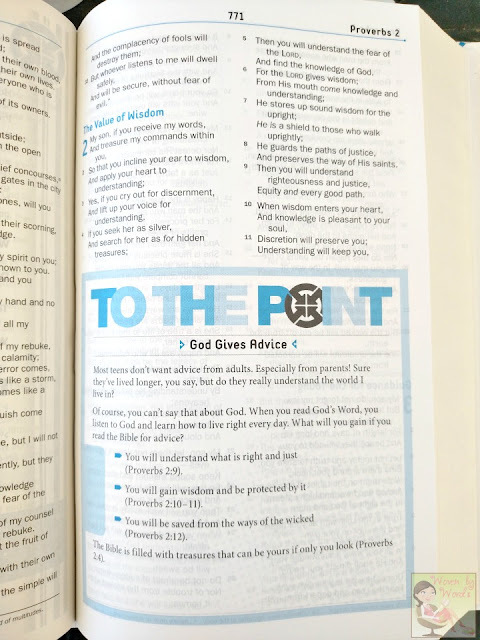 Firs there's the "To The Point" helps teens understand that the Bible speaks to issues they might be having. It gives the scripture references that relate to the issue, and explain it. The "Instant Access" section deals with life instances that happen on a regular basis. We're all going through something, and to know that the Bible discusses it, can be extremely comforting. There's also circles that have scripture that really stand out in that book or chapter of the Bible. Does your teen like trivia? If so, the Q&A sections will really appeal to them. They can test their knowledge of the Bible! At the beginning of every book of the Bible is an introduction to it. They can see how it could relate to their lives, and explains key events that happen through the book. Sometimes it's hard to know what to believe and how it applies to their lives. What do Christians believe? These are the spots to learn about it. 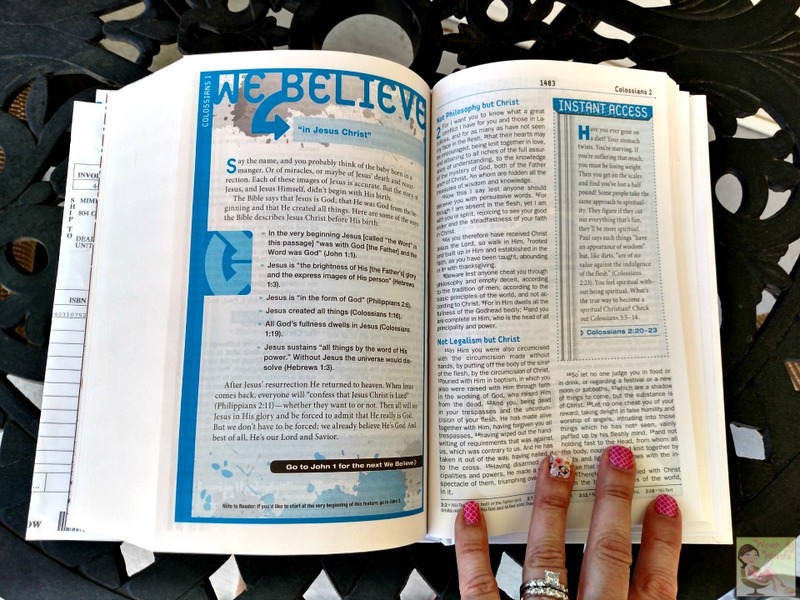 There are cross references to other scripture that support the content of the "We Believe" sections. At the bottom of each section is the guide to the next one to read. 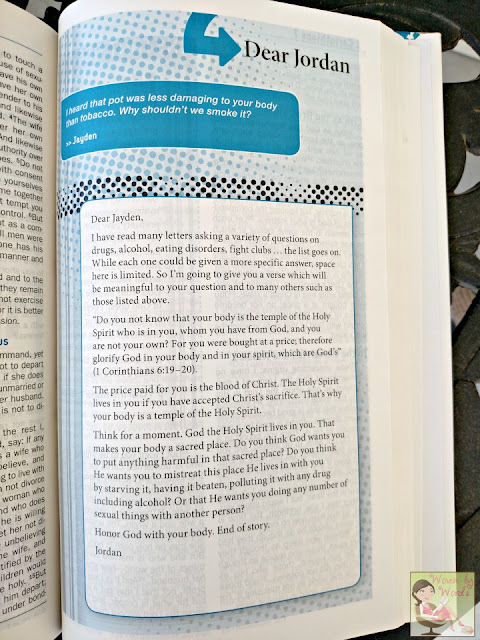 The "Dear Jordan" pages are great to help with advice for life questions that our teens might have. Jordan answers with references to Bible characters. I love this because teens can see that the Bible isn't some old fuddy duddy book that has no correlation to them and this century. 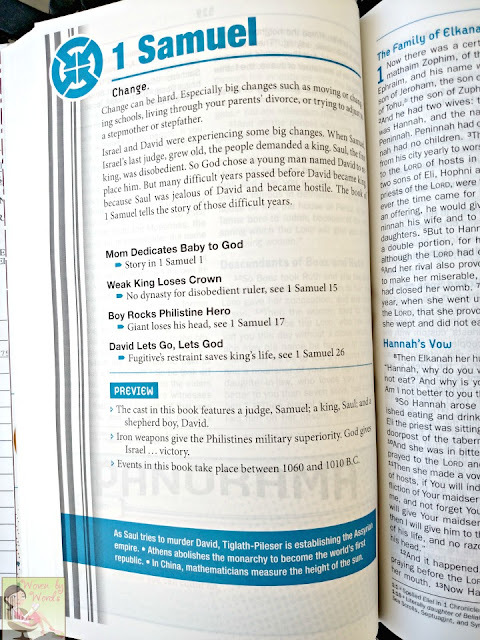 If your teen is looking to read through the Bible, there's a study that they can check off as they read. I like that there's something called the Bible Truth Index and Teen Life Index. Your teen can look up specific words or phrases and read about them. I do wish there was a more comprehensive Index at the back. I really appreciate those in my Bibles. I'd like the book "Heart Made Whole." I'd like to get my daughter 30 Days With Jesus.